Who doesn’t love a good Arizona State party? 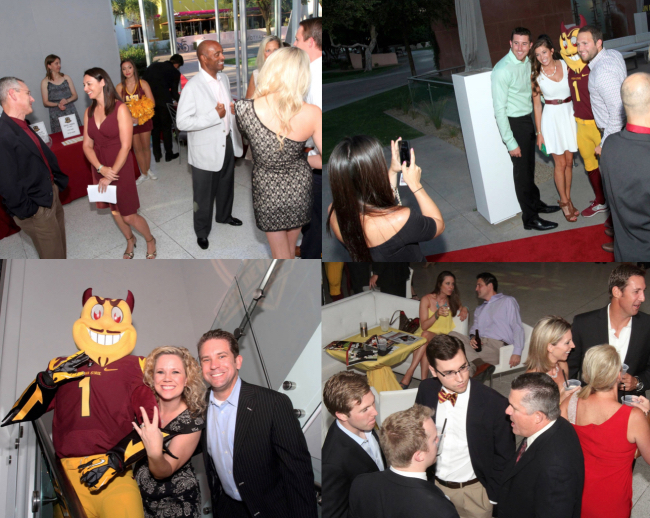 Next Friday, May 15, at the 2nd Annual DEVILS BALL, you’ll be hanging out with the heart & soul of Sun Devil Athletics while enjoying cocktails, wine and beer at the open bar and food from some of the best restaurants in the valley. 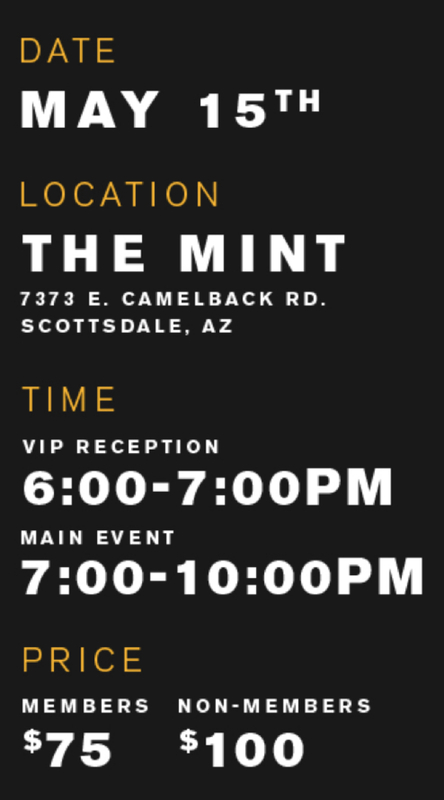 The VIP crowd will include: Arizona State Head Coaches and staff members, leaders within the Sun Devil Club, ASU athletic legends, the Sun Devil Dance Team, sponsors & donors, and the hosts of the event, the Sun Devil Club Young Professionals. Oh, and of course, Sparky. 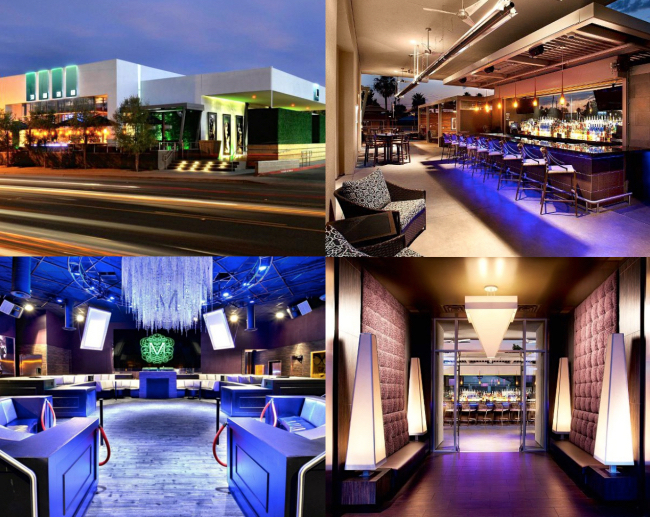 This time last year, the Young Professionals hosted nearly 400 guests for the inaugural event which was held at Clayton on the Park in Scottsdale. Last year, the group had a goal to raise $50,000 for the Athletic Department. 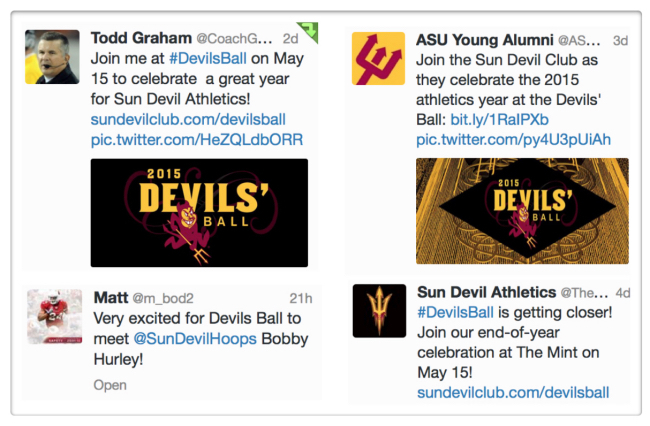 However, they did it the Sun Devil way by generating over $100,000, and the DEVILS BALL played a significant role. 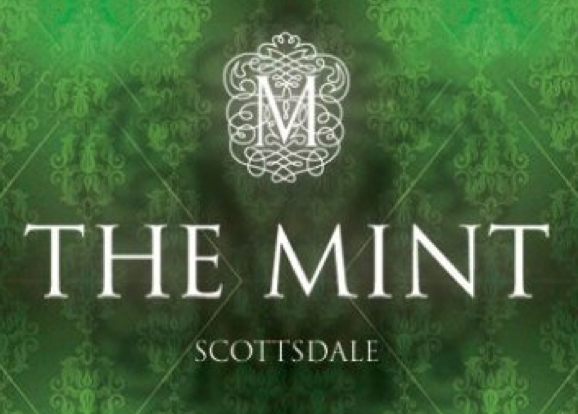 Friday night’s party is expected to draw upwards of 600 guests, so the Young Professionals have secured a larger venue: The Mint Ultra Lounge in Scottsdale. At just $75 for Sun Devil Club members and $100 for non-members, this is an important cause. 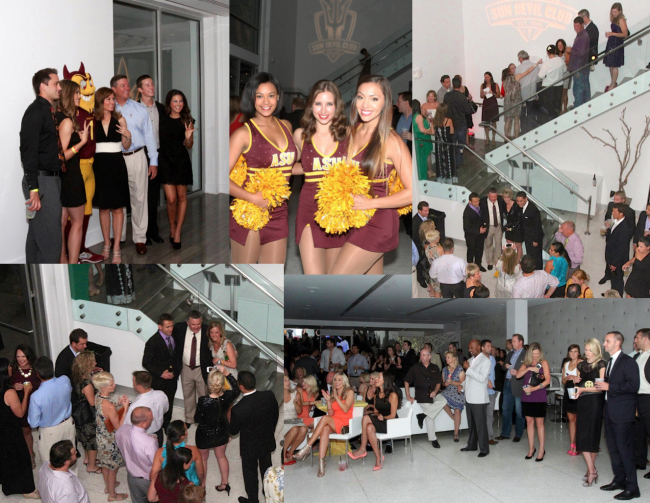 You’ll help to facilitate Friday’s year-end event which celebrates Sun Devil Athletics. Additionally a portion of your entrance fee goes directly to the Sun Devil Club which supports ASU’s current and future athletes. Stand behind these up and coming ASU boosters. The Young Professionals are setting a new standard of support for Sun Devil Athletics, and Sun Devil Nation should be very proud. How can you support the Young Professionals efforts? There will also be a silent auction which includes unique items such as signed Sun Devil Football helmets. But Greg Derr, an executive board member of the Young Professionals’ group, noted a particular item that he expects to be especially popular. 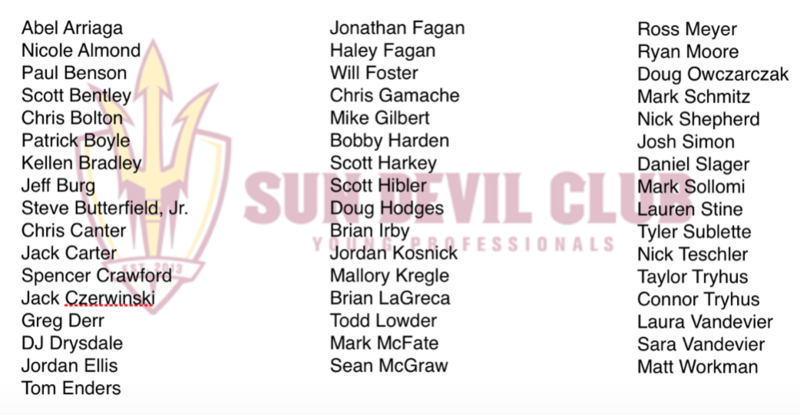 I’d like to get involved..
To learn more about the Sun Devil Club’s Young Professionals Group, email Gabe Cagwin at gcagwin@asu.edu and/or Derek Gossler at derek.gossler@asu.edu.